2 oz. 1 lb. 5 lb. 50 lb. Used primarily in sanitizing solutions to lower pH, therefore making the SO2 solution more effective. Use 1 tbsp per gallon along with 1 tbsp meta per gallon. 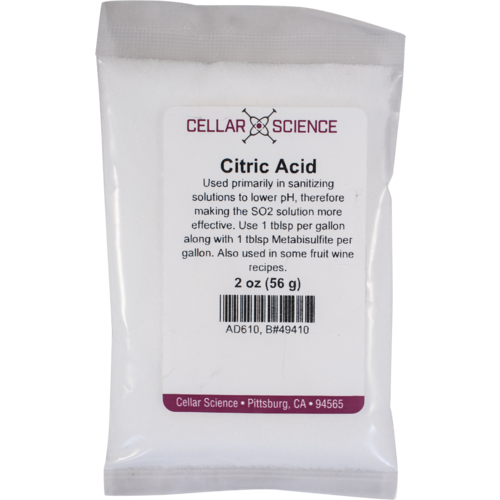 Citric is not added directly to must prior to either primary or ml fermentation as its metabolism can lead to volatile acidity. A rough approximate of weight is 1 tsp = 4 grams. We highly recommend using a scale to weigh the product for an accurate dose. We do not recommend relying on these rough conversions for accurate dosage rates. Citric acid rinses all chemical cleaners off of equipment after washing. I use CA to clean calcified hardware. Citric acid is essential for balancing sweetness vs acidity in white wines. 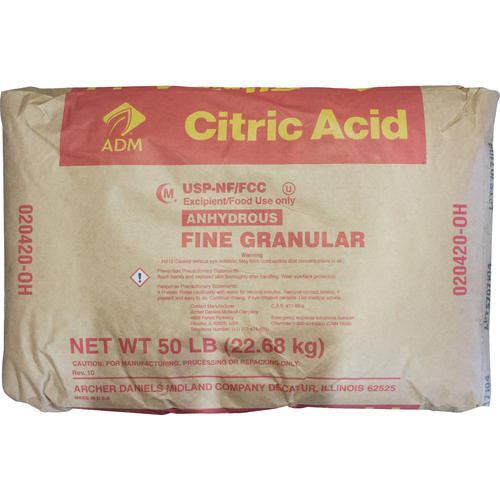 How much citric acid should I use per gallon for cleaning equipment? BEST ANSWER: Hi Kathy. A bit late but hope this helps. I clean with ProxyClean (not available at MoreWine that I know of), rinse with water, then follow with a 70g/gallon citric acid solution in water. Then I rinse the citric with water and follow up with Star San sanitizer. So, ProxyClean, water rinse, citric acid, water rinse, sanitizer. We'v found that one tablespoon per gallon makes a good cleaner, especially for stainless steel. 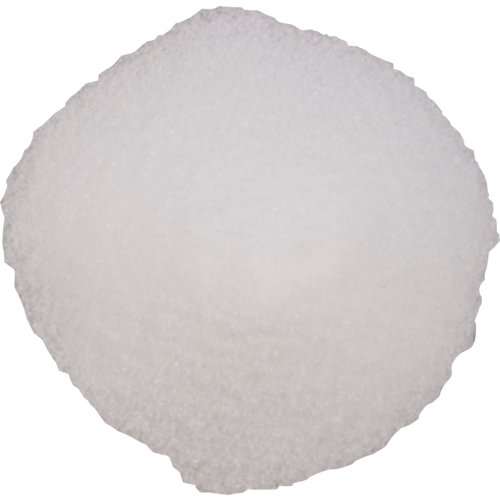 As citric acid is not a toxic chemical or a detergent, thorough rinsing is not really necessary. I usually do 2 tablespoons of sulfite and 1 tablespoon of acid for 3 gallons. Might be a little strong but seems ok.
Great product to use I always use it when making wine.